Threshold Announce London as part of their ‘Legends Of The Shires’ album tour! 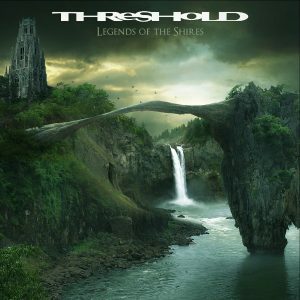 UK progressive metal quintet THRESHOLD released their colossal double concept album ‘Legends Of The Shires’ on September 8th, 2017 through Nuclear Blast. It’s the band’s most successful album to date and was followed by a hugely successful 2-week European headline run with several sold out shows. Reasons enough, then, for the band to announce a second leg today. This time, though, THRESHOLD will be performing ‘Legends Of The Shires’ in its entirety and more. Special guests for this trek will be announced soon. Full tour dates are below. Posted on 26th March 2018 26th March 2018 Categories Gigs/Tour News, NewsTags 'Legends Of The Shires', Progradar, ThresholdLeave a comment on Threshold Announce London as part of their ‘Legends Of The Shires’ album tour! This year legendary British prog-metal stalwarts Threshold released their 11th album ‘Legends Of The Shires’ on the 8th September. 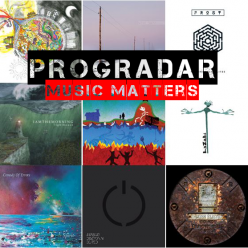 Progradar – I think ‘Legends of the Shires’ is your best album yet but, as you wrote it, what are your thoughts? Karl – All musicians think that their latest album is their greatest but, for me, it does have a real completeness in terms of both music and lyrics. It’s a concept album, not just lyrically (which is often the case) but musically and we tied the whole thing together. For me, that’s very satisfying, when you can listen from the first track on the album, The Shire 1, and got through to the last, Swallowed, and feel the music has the right dynamics to follow from one song to the other. You just feel that there’s a completeness to that arrangement, and that, for me, is very satisfying. The only other album that came close to that was ‘Subsurface’. I can always find a good song or two that I really think are stand out songs on most albums but I want the whole thing to seem like a complete album, and that’s what stands out on this one. P – I agree definitely. I’m 50 this year, ready for the pipe and slippers and it’s time to be a grumpy old man. What I think is a problem with a lot of the mainstream music nowadays is that it’s based around singles, they’re just picking one song. I want the album to be a journey. K – Exactly, that’s the thing, it’s come back a little bit like it was back in the 80’s. Bands would front-load their album and say which are the best songs and just put them in that order. By the time you’re getting to the end of the album you’re thinking ‘oh my god!’ Even if they are all good songs, it sounds a bit jumbled and uncoordinated, you need that coordination and the album needs to be as important as the individual songs on it. P – When you first started out, young and wide-eyed, in 1988 did you envisage releasing your 11th album over 20 years later? K – We didn’t even set out to get signed to be honest. My wife was listening to some of the demos we made before we got signed and she wondered how the hell we managed to get signed! It was absolute tosh, it was dreadful. We were a covers band when we made those, learning to play guitar and so on, sort of bumming our way through a few Van Halen songs and Ratt and Whitesnake, whoever was in at the time. We made our way playing those and didn’t think about it at all, we just wrote a few songs, I think it was three, which were sort of within what we would call Threshold now. Basically, because two of us loved metal and one love prog music, we accommodated everyone with that. A king of prog-metal as a meeting of the two musical styles rather than what you’d see as Prog-Metal now, which is a genre in its own right. We just mixed what our influences were and started writing songs. The guy from SI Music in Holland heard them and thought they were really good, he put one out on his compilation album through the magazine that he published at the time and said he was going to sign us the following year and we’d release an album. In the meantime, someone else heard it, which was Thomas Waber from InsideOut, he had another label in the UK called GEP and said we’ll sign you to that label. So we signed to Giant Electric Pea and they didn’t expect us to sell any more than 500-1000 albums, so even at that stage we weren’t thinking about whether we’d made it or not. Within a month or so that first album had sold 15,000 so I think it was, at that stage, that we realised that things had taken off a bit more than we thought. We started thinking maybe we are a serious band and we’d better sort ourselves out and learn how to play live. We never, ever chased a deal, we naturally moved to InsideOut from GEP and when that contract came to an end Nuclear Blast approached us and said they’d like to offer us something. To be honest, we’re happy to stay there now and have signed the new contract to stay at Nuclear Blast for another three albums. K – We were interested in playing music but we’re typical Brits who are very self-critical and don’t really think of ourselves too seriously. We just wanted to make music and hadn’t thought that someone else would want to hear it. Once that did come true we were thinking it was great, we can write albums and people will actually listen to them and we can release them, it was a gradual realisation. It gradually grew and now, I suppose, it feels normal. My greatest privilege is just to be able to communicate with people through the medium of music, it’s something that I always wanted, you know? If someone can take something from one of our albums or if it means something then it’s a real privilege to be able to do that. P – The new album is described as ‘A colossal double concept album’, is there a quick way of telling us what the concept behind the album is? K – It’s about how we find our place in the world, on a political or personal level, and how we relate to each other. To that end it’s really a dual concept album which is what gave us such inspiration to write the lyrics, or Richard anyway. As a political side you could take it as a country or a nation finding its way in the world and all the difficulties that come with that. England’s place in Europe was vaguely an inspiration, I suppose, from all that happened last year. On a personal level, it’s much the same sort of thing but looking at your thoughts of things you wish you hadn’t done, just a journey through life, someone finding their way in the world. That was able to give us a lot of scope all the way through the album, in terms of finding the concept. You see that demonstrated in the Small Dark Lines video which we’ve done and which partly illustrates what the album’s about, painting the lines on the people with black paint which represented their regrets in this case. The small dark lines in the song also represent the borders between countries and how those are a little bit blurred these days. Those are many subjects we can touch on and it was really great to be able to demonstrate that in the video and find a way of doing it, to which end we put out an appeal to fans who wanted to be in the video. We got people travelling from as far away as Sweden, it was really successful, there must have been at least nine people in the video. The only thing I will say is that, originally, we didn’t plan on torturing them, it wasn’t the idea to give them cold showers but there was only cold water available! It was in a warehouse near Manchester, it was freezing cold and raining on that day and their faces tell the story when they get hit by the water! P – To me, and to other people I’ve spoken to who’ve heard the album, there seems to be more focus on the songs. Was that your intention when you originally got together to write the album? K – As I’ve mentioned before, ‘Subsurface’ was my favourite album until now and that was because of that complete nature of the composition from beginning to end. Richard and I got together and on the last albums we’d had contributions from other band members, we wanted that, everyone was always welcome to write. For this one, they didn’t really come forward with anything, apart from Steve who wrote On the Edge, so it was a lot easier to control the whole dynamic of the album, the sound of it. We got together when we were both ready to start writing, we were inspired, and we got to about an hour’s worth of music. I make complete demos of music and send them to Richard who then adds melodies and lyrics. We got to this stage where we’d finished that, around sixty minutes and I’d said that I’ve still got plenty of ideas, I don’t feel like I’m finished. Richard said that was good because he was building this really interesting concept and needed more music for that. We just let it go naturally until we had about an hour and eighteen minutes. We didn’t have The Shire Part 1 or 3 at the time and developed those later. We ended up with an hour and twenty-three minutes of music which came as a natural situation at which point Richard mentioned that the label had said that if we were going to make an album they wanted to split it onto four sides of vinyl. I said we could probably just do but I’d want the songs to be in the correct order because we’re thinking about a concept. I don’t want to take what would be okay on a CD and jumble it up to make it fit on four sides of the vinyl because you can only do twenty two minutes per side. Luckily it fitted in the correct order and that was it for us, there was one other thing that happened at the end when we were doing the lyrics that really convinced us that this was 100% right. We discovered that each song begins with L, O, T or S which is an acronym of Legends Of The Shires and we were amazed by that, it’s just a confirmation that this album is falling into place. I love it when an album is musically, as well as lyrically, a concept, it may be a bit old fashioned and people may have forgotten about concept albums since the 70’s but I really love it when there’s a whole story and your drawn into it and you can turn the lights out and listen to the music late at night. I still do that with my wife sometimes, like teenagers, with some wine or beer out and just concentrating on music instead of having it as this background effect. That’s the most important thing, there are a couple of Mike Oldfield albums we listen through from beginning to end and think ‘wow, that feels great’ and I wanted that experience. You’re drawn completely into the music, you forget where you are and what you’re doing, it’s all about the music. You’re drawn into the story and the atmosphere, you feel one thing is happening after another and that’s what special about this kind of album for me. P – I think Legends is much more progressive than your recent releases, harking back to Dead Reackoning, was it a conscious decision when you were writing it to get that more progressive sound & feel, especially as it was going to be a concept album? K – I think there’s a natural leaning with Threshold, I don’t know if it’s exact, that seems to be that we do a more straight ahead album followed by a more progressive album, it seems to alternate. ‘Dead Reckoning’ was a little more straighter after ‘Subsurface’ and then ‘March of Progress’ was quite involved. The last one (‘Fro The Journey’) was a bit more stark sounding and now ‘Legends’ is very much warm and progressive. I don’t know if it was intentional but we always just let songs go and build themselves, we don’t say that we need a ten minute song. In fact I think that Richard would tell you that The Man Who Saw Through Time was nowhere near ten minutes when we started with the first idea. It just developed as it went on and that’s always been the case, I do like the progressive elements. It was Nick and I who liked the metal side of music and Jon Jeary (the original bass player) that liked progressive. He’s the one that got us into that music but, after I found out about it, I really did get to enjoy Genesis albums and, through that, the freedom to express myself in the way of arrangement so you’re not locked into verse, chorus, verse, chorus, solo, chorus or whatever. They kind of go where the song needs to go and they don’t sit and worry about the details, they let the song lead itself. You don’t think and worry about the arrangement, it happens and if it happens to be a three minute song, that’s fair enough if it works that way and if it’s longer, it’s longer. I suppose you get used to writing longer songs so you know what it takes but we do like to mix that up and, particularly once we’d got to 60 minutes and we were still writing, there was a feeling from Richard and I that we wanted this to be a more progressive album as we wanted it to be a concept. We did lean towards that, in some ways, without thinking about it too much. We already had The Man Who Saw Through Time and Lost In Translation at that stage, those songs were already there. If you’ve got 22 minutes on two songs then you’re already on your way to something progressive, aren’t you? You can’t avoid it. P – You’ve still got some shorter, harder rocking tracks like Small Dark Lines on there, you get a really good mix between them all, it all seems to flow really nicely. K – I think Snowblind is one of my favourites as well, it’s got harder moments and it’s almost like a microcosm of Threshold on this album. It involves the hard, the heavy, the delicate and the emotional sides of the music, all combined into one song and compressed into 7 minutes. It was really interesting to create that sort of thing all into one track, it just sort of came together in the right way. I’m really looking forward to trying to play that one live! P –Who influenced your career at the start and who’s music would you spend your own money on now? K – Before we were together, my wife really liked My Dying Bride and I’ve really got into them because of her. I’d never considered listening to it because doom metal’s kind of alright when it’s Candlemass or whatever but it just wasn’t my thing. When I heard them I completely got it the first time I listened to it, I just understood the atmosphere and the music and when I found out where they came from I thought you could feel it in the music. You can envisage the moors and the cold, dank nights and the misery and I loved the way that they painted the picture through their music and the way the sound sort of envelops you. That’s been something I’ve really been into more recently and love Mike Oldfield because of the electronic side of the music and the way he’s able to build layers. I know it’s a different style of music to Threshold completely but it taught me how you could make music interesting instead of just coming back to a verse again. Why not have something different, maybe an extra layer or something, it’s the way he builds the songs so carefully. It sounds simple but there’s a huge amount involved in it and I learned from that electronic music what was so important about layering music and making it interesting in the arrangement. From the beginning it was just metal, particularly Testament from the album ‘Low’ and beyond. I suppose if I listened to guitarists it was melodic guitarists, Dave Gilmour and Steve Lukather. I never liked those bands in the 80’s who would write a song where you’d be listening to it and then you’d fall off the edge of the song into a bunch of scales and the solo would have nothing to do with the song. You’d think why did he do that? I know people want to play fast but what’s the point? When I listen to ‘Toto IV’, even though it’s not a favourite Toto album of mine, I noticed that the guitar solos were so melodically driven, so brilliantly worked out and I thought that that’s what I want to do, I want to make a solo that’s got a relation to the song. To that end I started writing guitar solos by putting the guitar down and taking the music out into the park on headphones and singing it onto a Dictaphone for either a keyboard or a guitar solo, whatever we want. I just start humming it or singing it and that would create the basis for the solo and you wouldn’t fall into the normal pattern where you start playing your guitar and you have certain patterns under your fingers that you always gravitate to, you can’t help it and that means all your solos ended up sounding the same. I now just ignore that and come back and add any technical bits later. It’s about getting the basics right so someone who’s not a musician can enjoy your work as well. My little girl is only three and she listens to some of these albums we have on and when it comes to the solo she’ll go “advert! advert!” like the song has finished for her, she thinks it’s an advertisement in the middle of the song and then she’s waiting for the chorus to come back. I don’t want to be that, I want to be in a band where bits of the solo relate to the melody in the verses or the chorus and it’s a melody in its own right which keeps people interested, not some excuse for someone to go a bit crazy and play their fastest scales. That’s where that developed from, to keep that as a coherent part of the song and then you don’t feel like you’ve wasted maybe 10% of the album. P – Just touching on progressive rock again, Steven Wilson has come out and said that being labelled ‘Prog’ has probably held his career back, do you think the ‘Prog-Metal’ label has affected Threshold in a negative way? K – I don’t think that were so big that we could be held back by anything! How many times do you hear people talking about the revival of prog? Sometimes it’s a positive, sometimes it’s a negative. There are so many people willing to put down the prog fans and categorise them as anoraks that are in their 50’s or 60’s and have no interest in life. Why would you do that? I think they’re an incredibly loyal fanbase that are well-educated, which means you can actually write lyrics that mean something and they will understand them! It’s a real bonus in my book to find those people and they tend to be there all the way through your career. You can have a pop band that will be gone in a year or two, I love having a fanbase that we can go to and they’re waiting to hear your next album. It’s a privilege, it shouldn’t be something you put down at all and I don’t think it’s held us back in any way. K – Threshold are good at what we do, if we tried to become commercial or try and follow some trend, we’re not going to as good as the other bands that do it. You’ve got to forge your own way, be creative and have your own sound, not somebody else’s. I think it’s great if someone hears the track Small Dark Lines on the radio and knows it’s Threshold, to me that’s a good thing. It’s like when I hear a Pink Floyd song and I know it’s them, it should be your own identifying stamp. I think it’s a brilliant thing and that’s what happens within prog. 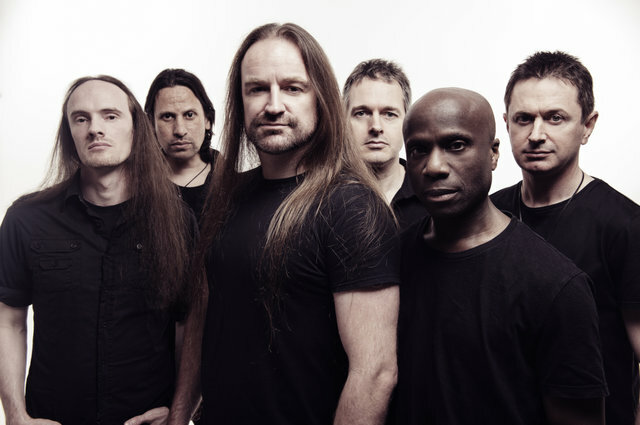 P – Glynn Morgan has returned and replaced Damian Wilson on vocals, any particular reason why? K – I can tell you what happened, we never wanted to make a statement because we’re not in the business of trying to put Damian down or anything, he’s a really valued member of the band and he did a fantastically good job. However, in October, after we’d played Prog Power Europe I was giving him a lift home to Oxford and he said to me “what sort of singer do you think would replace me?”, I didn’t really pay much attention and he gave me a few names and we left it at that and I said good night. A couple of weeks later he turned up when I was working on something in the studio and said that he’d decided to leave the band and it was then that I realised that I’d missed that, I’d missed him telling me that he was leaving the band completely! He gave me names of these people that he thought might replace him and I never want to be in the position of chasing people to be in the band. As I’ve said, I feel privileged to be able to play music to the people who want to listen to it and I wouldn’t want to put him in a position where we’re chasing him. Threshold is something that’s special to me and if he’d come to the point where he felt he’d got other things to do or you don’t want to be in the band then that’s great, he’s done a brilliant job and we’ll move on. When I spoke to Richard later, I said to him that Damian had decided he was moving on and I don’t really want to take on one of these people he’s suggested, what do you think if we ask Glynn again? I know he wanted to rejoin the last time Damian had come back. He’d found out afterwards that Mac had left and he was interested but it was too late then. In 2008/2009 we did some work with him on our ‘Paradox’ singles boxset on a couple of the tracks and it was great. I’d always loved Glynn’s voice and the three singers we’ve had are the singers I’ve wanted so if Damian leaves and, unfortunately, Mac is no longer available, it would be brilliant if Glynn came back. Richard had been in contact with him not long before that and when we spoke to him he was over the moon and, as he said in his statement, he really wanted to get involved again. I thought that his enthusiasm was something you just can’t turn down. As the story goes, Damian changed his mind a few weeks later and wanted to come back to the band. I never really got a satisfactory answer as to why he wanted to leave or come back, he rang Richard this time and said he wanted to come back. He actually did come back to start recording the new album but he didn’t finish it and we didn’t have any dates from him to come back. We did a show in Switzerland and the atmosphere in the band was just different, we knew he’d wanted to go and then he sort of came back but didn’t want to do certain dates that we’d tried to book to finish the album, he wasn’t available for those. It just seemed like we were in competition with something else and I said to Richard we would have to find someone who wanted to do what the four of us wanted to do, the rest of the band. We want to do things, we don’t want to be inactive, we’re not that young that we can be sitting around for years doing nothing. We told Damian we’d have to move on and I don’t know if he wanted to leave or not or whether he didn’t like the idea of looking bad on social media. I’m not sure whether he really wanted to come back or not, I don’t know what it was but it wasn’t really a good fit once he’d decided he wanted to leave and we just thought that, even though we don’t want to fall out with Damian we need to move on. He still wants to meet up and chat again, we’re not on bad terms. I don’t know if he was expecting it or not but we said, in the light of what had happened, we’re going to move on and we’re going to find someone who wants to be in the band all the time and it worked out, it fits Glynn perfectly, with the extra power he has, on this new album and it works well. P – Talking about people coming back, Jon (Jeary) makes an appearance on The Shire (Part 3), how did that come about? K – I’m still in contact with Jon often, we meet as families, with his children and mine, and we’re still great friends. I know he loves Threshold because he bought some of the albums until he told me and I started giving him some, he still likes the music. He didn’t want to be involved in touring back then and I always wondered if I could drag him back in. We’d demoed every other song on the album with female vocals, we got Richard’s wife to do it as she’s a really good singer and that stops us getting boxed in with any particular vocalist when we’re writing. When we did The Shire (Part 3) she wasn’t available to do the vocals so Richard did it himself and I thought it sounded a bit like Jon. I wondered if I could convince him to sing on it and Richard said good luck with that one so I contacted him and asked him if he’d consider doing this vocal for us and sing it how he feet. I Think he was flattered as he was the original singer for Threshold when we were a pub band and coming back as a singer was very different to coming back as the bassist. He really enjoyed it, he came after work one night, put the vocals down and it went brilliantly, it was really good to be connected back with Jon. 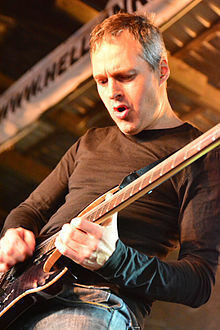 He was such an important formative part of Threshold, he wrote the majority of the lyrics for the first six albums, titled the albums and even came up with the band name. Even though he didn’t like the touring and what that entailed, he always loved the music. The next step is, if we ever get to playing that track live, to maybe drag him up to London to sing on it, let’s see what he thinks about that one! P – I really appreciate you talking to me Karl, the last question, what’s next for Threshold and yourself? Are you already thinking of the next album? 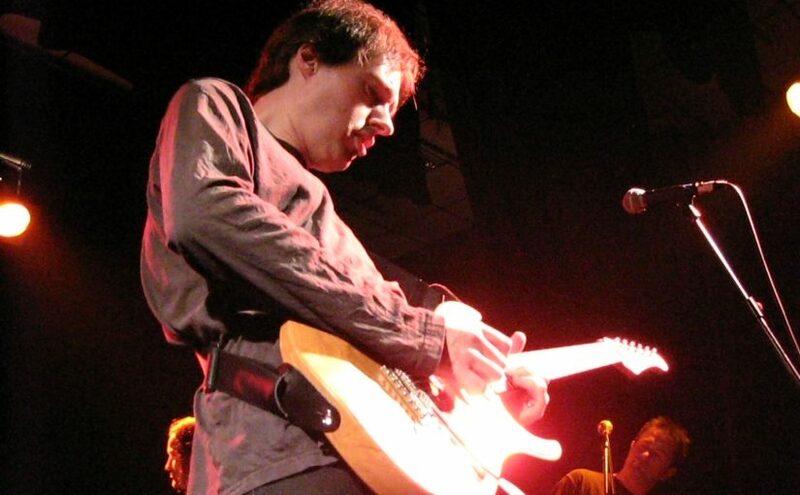 K – When I get back from the back of beyond (Serbia) I’ll be getting ready for our tour , planning things for Glynn such as what bits of guitar he might play on the tour in November and December. We’ve started arranging festivals for next year and then we’ll see what comes. 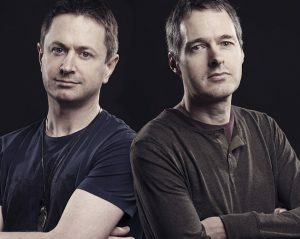 Richard and I have always left writing the music for a new album to the point when we’re actually ready to do it, rather than setting a date for it. It’s hard enough to make an album which works, you never feel fully in control of what’s happening, even with the best of intentions and being fully inspired, it might not go exactly as you want it to. I always feel you have to be completely 100% ready and you’ve got to put everything into it to make it special otherwise why would you bother? We always wait until it’s a natural process, by the time we’ve finished the touring process for an album we’re ready to start thinking about a new one and you get inspired again. 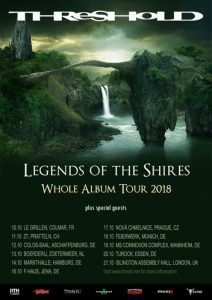 British Prog Rockers THRESHOLD have announced a third UK date as part of their European ‘Legends Of The Shires’ Tour. The band will play Manchester on Saturday 18th November at the Rebellion Rock Bar venue. 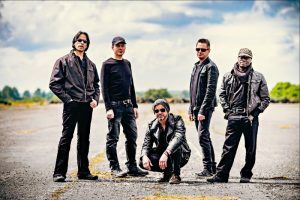 Threshold have been gearing up to release their first ever double album ‘Legends Of The Shires’ which will be released world wide on Nuclear Blast 8th September. The band will also be playing a London headline show in December as well as performing at HRH Prog in Wales in November. Don’t miss the chance to see these brand new tracks come to life for the first time. British Progressive icons THRESHOLD have announced their new album ‘Legends Of The Shires’ will be released via Nuclear Blast on 8th September. 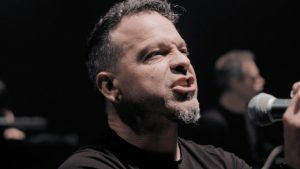 Today the band unveiled the first single from the release, the ultra-Prog epic ‘ Lost In Translation’ which has a song length of over ten minutes! ‘Legends Of The Shires’ will be the band’s eleventh studio album and their first ever double album; it also features Glynn Morgan back on vocal duties for the first time since 1996. 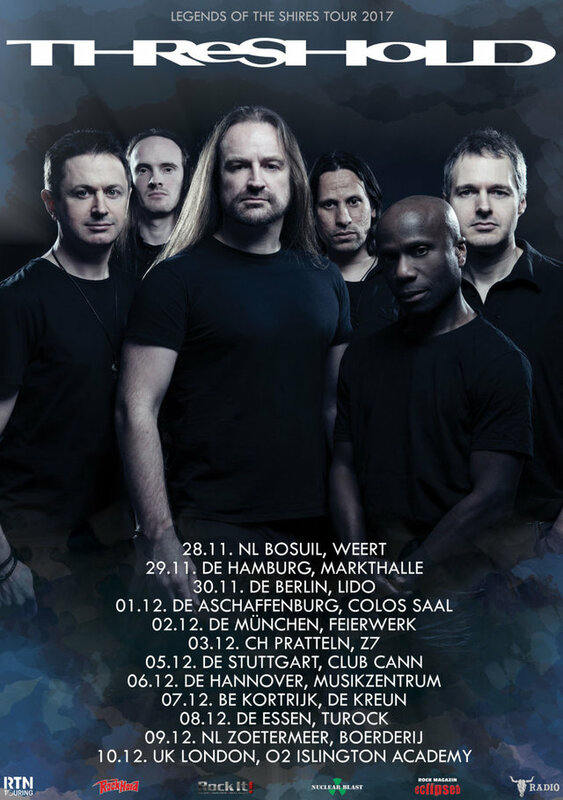 Threshold announce new tour dates + album title! After ten successful years with the label Nuclear Blast, British progressive protagonists THRESHOLD have signed a new contract and extended their partnership with the label. Furthermore, they have also announced plans for their next release. 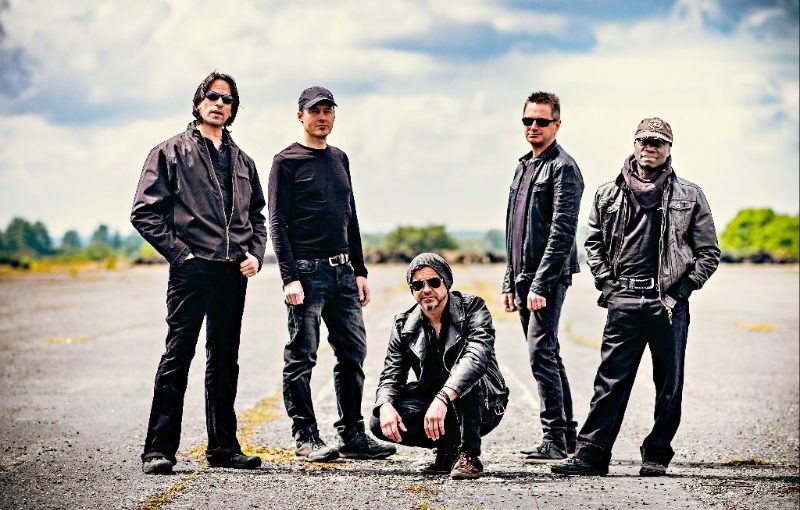 THRESHOLD are currently recording their 11th masterpiece at Thin Ice Studios in England, a new concept album that will be called ‘Legends Of The Shires’. It is being produced by Karl Groom and Richard West and it’s scheduled to be released later this year. More information will be revealed soon. But that’s not enough:the band is also announcing the dates for the ‘Legends Of The Shires’-Tour 2017 where you’ll be able to fully experience songs from the new album on stage! 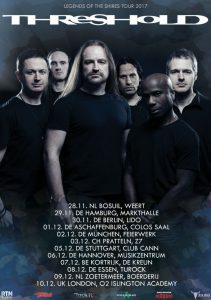 This European Tour includes a one-off UK date at London’s O2 Islington Academy on 10th December. The last record of the band was their live album ‘European Journey’, which was recorded during the November 2014 ‘For The Journey’ tour and consists of 15 live tracks. Posted on 7th January 2017 Categories Gigs/Tour News, New album releases, NewsTags 'Legends Of The Shires', Damian Wilson, Karl Groom, Richard West, ThresholdLeave a comment on Threshold announce new tour dates + album title!